1. Drain liquid from crushed pineapple and reserve. 2. 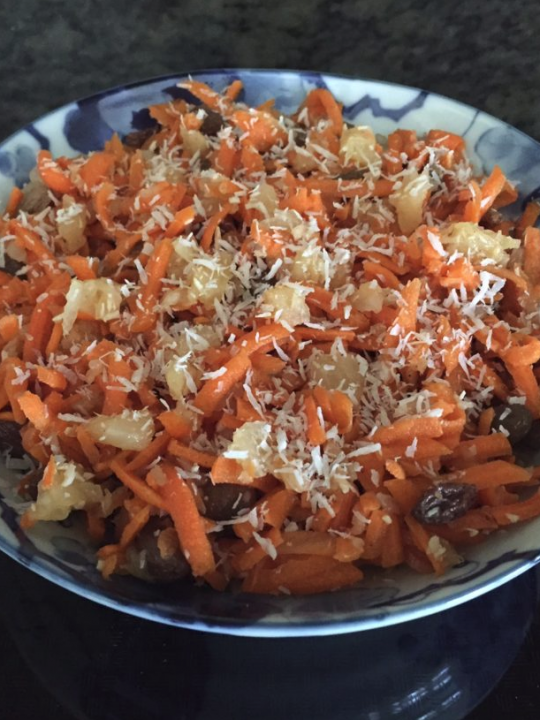 Mix shredded carrots, pineapple and raisins in a bowl. 3. Stir in maple syrup and cinnamon to combine. If moisture is needed, add some pineapple juice. 4. Garnish with shredded coconut.